Cloudy skies early, then partly cloudy after midnight. Low 48F. Winds WNW at 10 to 20 mph..
Cloudy skies early, then partly cloudy after midnight. Low 48F. Winds WNW at 10 to 20 mph. Tatiana Bailey. Gazette file photo. 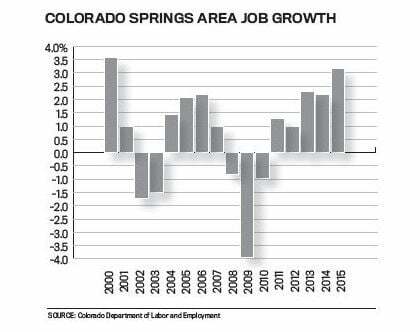 After years of watching Denver and northern Colorado enjoy a robust economic recovery from the Great Recession, it's Colorado Springs' turn. Signs everywhere point to a long-awaited local turnaround: a declining unemployment rate and jobs created at the fastest rate in 15 years; homes bought, sold and built at a furious pace; new stores and restaurants; hotels and attractions bustling with free-spending tourists; and increased sales tax revenues flowing into local government coffers. "There is a lot of optimism out there," Mayor John Suthers said. "We are seeing some very positive signs, and while there is going to be a downturn at some point, we are not seeing such enormous growth that I am concerned about a bubble. It is all very healthy and has the appearance of being sustainable." Every major indicator measuring the Springs-area economy has at least returned to the level reached before the recession began in 2008, and many are now at the highest level since the end of the technology boom in late 2000 and early 2001. And while the local recovery was slow to arrive and build momentum, the Springs economy is generating new payroll jobs at a faster rate than the rest of the state and the rest of the nation for the first time since the recession. "In a way, we are kind of in a boom," said Tatiana Bailey, director of the Southern Colorado Economic Forum. "If you look at where we were at 1½-to-two years ago, so many of the indicators have turned around. We were lagging the state and the nation. We now have strong employment numbers with people re-entering the labor force, construction is going through the roof, and sales of luxury goods are really strong. It is a boom, so people are starting to wonder when the bust will follow, but it seems to me that growth is spread across so many industries that it is sustainable." While it might seem the local economy shifted into a higher gear last year, Bailey said that growth had been building for years. - Local health-care projects that began in 2015 had been in the planning stages for the past two or three years. - The local housing industry absorbed thousands of foreclosed homes in the past five years that dragged down prices and were an obstacle to a healthy housing market. - The local tourism industry enjoyed peak seasons in the past two years that weren't set back by wildfires or floods. "Economic recoveries usually can be divided into two phases: The first phase as you come out of the recession is painful and takes a long time, but in the second phases you see a takeoff period where the job and stock markets are very strong. We are definitely in phase two of the recovery in the local economy," Bailey said. As retailers grow and expand, the vacancy rate for Colorado Springs shopping centers fell to 9.5 percent in the first quarter; it was 12.2 percent in 2012. "Strong sales continued into the first quarter with double-digit increases through February," Victoria Harley, general manager of Chapel Hills Mall, recently told The Gazette. But if there's a poster child for the retail sector's recovery, it's the old Circuit City space at Powers Boulevard and Barnes Road on the Springs' northeast side. When the national electronics chain closed in 2009, the store went dark for years - except for the occasional short-term use by a Halloween retailer or a home and garden show. Finally, Sierra Trading Post, a Wyoming-based discount retailer that specializes in brand-name family apparel, sporting goods and outdoor and fitness gear, took over the Circuit City space in October. Retail follows rooftops, as the old commercial real estate saying goes. Now, as their sales rise and the Pikes Peak region adds households and jobs, some retailers are expanding, said Fred Veitch, vice president of Nor'wood Development Group and the developer of several shopping centers - including the one where Sierra Trading Post has located. "Retail doesn't create its own demand; it reflects consumer demand," Veitch said. "The consumer confidence is there, and we're seeing it in the housing growth and other areas." Besides traditional apparel, clothing and other stores, restaurants, bars and entertainment venues are among the fastest-growing retail segments, Veitch said. In general, retailers have filled existing spaces instead of constructing new ones, Veitch said. Eventually, as storefronts fill, retailers will construct new buildings, he said. "They are doing it in other markets, other than ours. They're going into urban areas, they're doing stores, which is important because two years ago, three years ago, they weren't doing anything. They are starting to build stores. It's just not been in our market." The fundamental strengths are in place to keep the retail recovery going, Veitch said. Besides more rooftops and jobs, lenders and developers are better positioned financially, which will allow more retail growth, he said. Something that can't be overlooked, Veitch said: The election of Suthers and a change in the City Council's makeup have created a more positive atmosphere for doing business in the city. Homebuilders in Colorado Springs and El Paso County launched construction of 333 single-family homes in March - the most for any month in nearly a decade. On the resale side of the market, home sales in March increased for the 20th consecutive month on a year-over-year basis. As home construction and sales were slow to rebound in the years after the recession, homebuilders and real estate agents were a broken record: More jobs would revive the housing market, they said. Now, jobs have arrived, and consumer confidence has soared. Combine those factors with historically low mortgage rates, and the housing industry generally has been on a roll since early 2015. Based on the pace of local job creation and economic forecasts, homebuilders expect housing trends to remain favorable through 2017, said Tim Seibert, board president of the Housing and Building Association of Colorado Springs and the owner of the N.E.S. Inc. land-planning firm. Buying and building could slow a little around the time of the presidential election, he said. That aside, higher mortgage rates would be the only real problem for the industry. Even a slight increase could mean a difference in how large of a home consumers can purchase - or whether they can buy at all, Seibert said. "Interest rates are clearly what we're watching," he said. "We're watching the feds on sort of how they're going to keep inflation in check and there's been signs they're going to raise interest rates, but if it stays relatively calm, I think you'll continue to see home buying continue." The dollar value of commercial construction building permits totaled $246.4 million in 2015. It was the second highest annual total since 2010. The phone rings often these days at the headquarters of Elder Construction in Colorado Springs, said Jim Howard, the company's local construction manager. "I can just say, right now, it's a pretty busy time," Howard said. Construction companies and general contractors are in demand in the Pikes Peak region - although Elder also had a good year in 2015, Howard said. 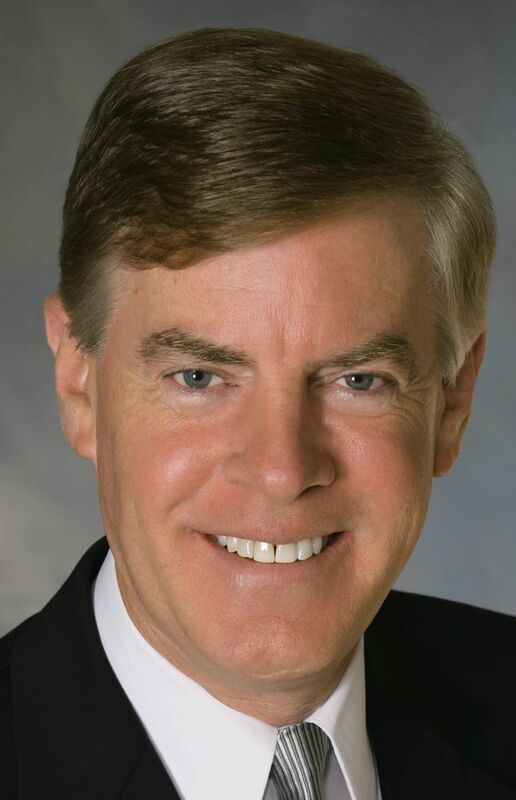 Elder, founded in 1994, oversees construction of dental and medical offices, schools and hospitality and entertainment venues, among many other projects. With an improved economy and low interest rates for borrowing, many retailers, medical professionals, apartment building developers and other businesses and service providers are constructing new buildings, expanding or remodeling. Elder has a strong base of repeat customers, and secured many long-term projects around the time of the recession that helped it weather the downturn, Howard said. The company now has about 45 employees between its two offices, and hired 10 to 12 people in the last year, he said. 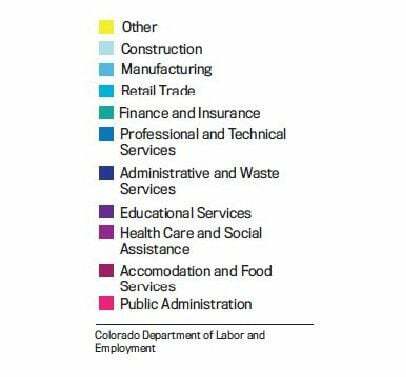 With so much construction work taking place in the Springs and other areas of Colorado, many contractors are having a tough time finding qualified employees, Howard said. A journeyman electrician with 10 years of experience won't just get a job; he'll be asked if he can start on immediately, Howard said. That aside, Howard said he doesn't see anything in the near future that would slow commercial construction. The industry always ebbs and flows, but banks are lending more these days, and many businesses and developers have an entrepreneurial spirit that keeps them moving forward with new projects and expansions, he said. "Even if the economy took a little bit of a hit, I don't think it would be a drastic drop," Howard said. Collections from the city's sales tax on hotel rooms and rental cars in February rose nearly 20 percent from a year earlier, the 11th consecutive monthly increase on a year-over-year basis. Doug Price is looking forward to the summer - and not just because of warmer temperatures. As president and CEO of the Colorado Springs Convention and Visitors Bureau, Price oversees the local agency that works to attract groups and visitors to the region. Based on the statistics he's seen and the talks he's had with area attractions and hotels, Price expects another strong year for tourism. The Pikes Peak region doesn't just benefit from out-of-state tourists, though. "The economy in Colorado is so good that people in Denver and Fort Collins and others, they love to come down here and explore," Price said. The military economy in the Pikes Peak region may not be booming in 2016, but it is holding its own after years of Pentagon belt-tightening. Defense spending accounts for an estimated 40 percent of the Pikes Peak region's economy and about 50 cents of every paycheck dollar here. Military payrolls are holding steady this year and defense spending at Air Force Space Command at Peterson Air Force Base is ticking up. One bright sport for military growth in the region is the new Joint Interagency Combined Space Operations center at Schriever Air Force Base, which opened in late 2015. Employment numbers at the center, which brings together military space experts and their intelligence agency counterparts, haven't been released. But leaders say the center has already proved vital to developing future space strategy. And that means the program could see significant growth. 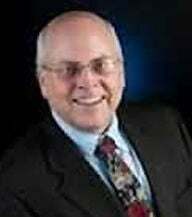 Much of the local economy's strong growth in the past year is a product of both an improving national economy and surging local population growth during the past few years, said Tom Binnings, a senior partner in Summit Economics LLC, a Colorado Springs economic research and consulting firm. "More people means more consumers buying cars, houses, restaurant meals and many other things," Binnings said. "To that degree, we are probably looking at sustainable growth, especially since the population growth rate in Colorado Springs has been very consistent regardless of economic conditions." 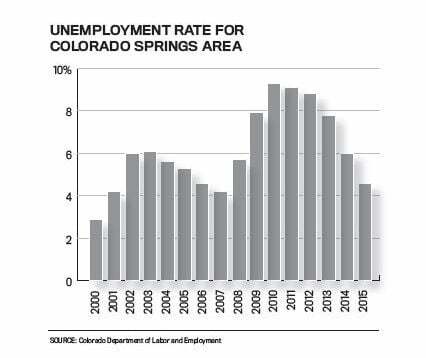 Binnings also noted that the nation's economic recovery started in major metropolitan areas and later spread to cities like Colorado Springs. Major cities attracted a larger number of younger workers, and employers who wanted to hire them, which in turn drove stronger job growth, he said. 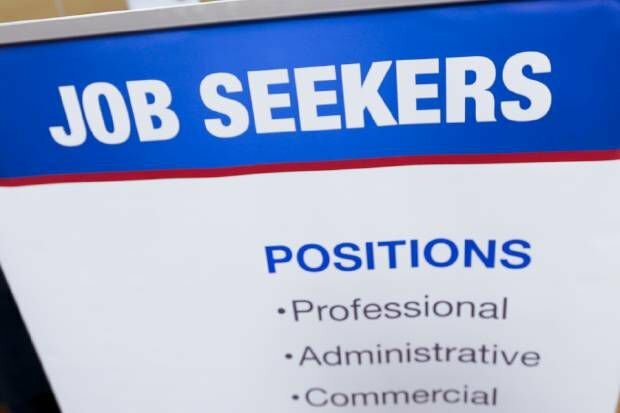 That growth later spread to Colorado Springs and other mid-sized cities as young adults who had delayed looking for a job by staying in college for a graduate degree finally started looking for and finding jobs, he added. If Colorado Springs is now in a boom, the next question is normally, "when will the next bust arrive?" Based on the average length of economic recoveries, Bailey doesn't see an economic slowdown either locally or nationally any earlier than late next year. Recessions generally are the product of an overheated economy - the last recession was triggered by a bubble in the housing market and the previous downturn that began in 2001 resulted from the collapse of the technology industry. Most economists don't see that sort of trouble looming today. Economic growth in Colorado Springs isn't a product of one or two strong sectors, but has been spread across several major parts of the local economy with the retail, health care, tourism and professional and business service sectors each adding more than 3,000 jobs between 2012 and 2015, said Alexandra Hall, chief economist for the Colorado Department of Labor and Employment in Denver. Economic bubbles typically form during periods of booming growth, and she believes Colorado's strong housing market results not from a bubble but from population growth during the past 10 years accompanied by little new construction. Bailey isn't too worried about an economic slowdown, even if it does hit in 2017. Even the absence of energy companies here buffers Colorado Springs from the oil-and-gas bust found in northern Colorado and in other states. 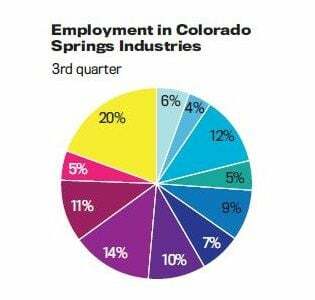 "We could see a mild downturn next year, and Colorado Springs is better positioned than it has been in a long time to weather a mild downturn because of the diversity of sectors where we are seeing strong growth," Bailey said. "We also have seen strong population growth from out of state, which has continued even through economic slowdowns." Tom Roeder contributed to this report.